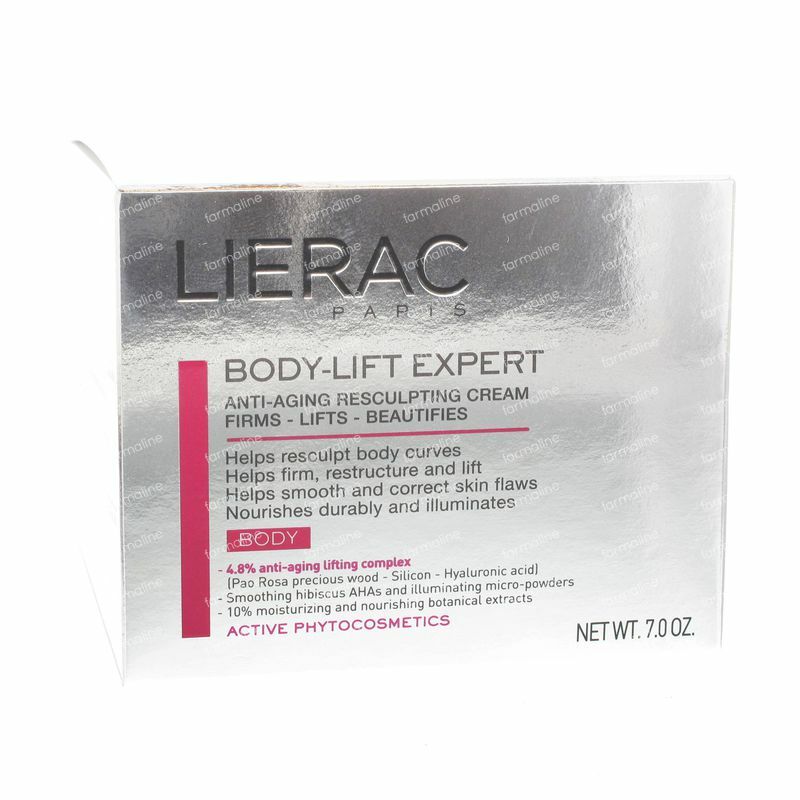 Lierac Body Lift Expert Sculpting Body Cream 200 ml order online. A scientific innovative formulation with a double anti-aging action that helps to sculpt the body and instantly perfect it. Inspired by the professional sulpting treatments, a lifting complex with precious extract from the Pao Rosa, hyaluronic acid enriched and silicium. The ultra soft and melting cream had an immediate strech effect to firm up the skin and give lifting where desired. 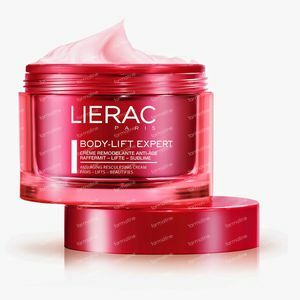 -4.8% the lifting complex with anti-aging effect (precious extracts from the Pao Rosa, silicium and hyaluronic acid): for a deep tissue sulpting effect. -Shea and cocoa butter: for a deeply nourishing effect on all skintypes. 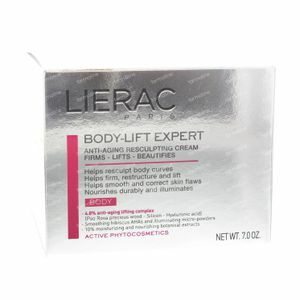 A body sculpting cream with a velvety finish and firming complex for instant results. Apply generously onto the entire body where a lifting effect is desired, once to twice a day. Water (Aqua), Glycerin, Cetearyl Alcohol, Dicaprylyl Carbonate, Cocos Nucifera (Coconut Oil), Aluminium Starch Octenylsuccinate, Butyrospermum Parkii (Shea) Butter, Sucrose, Polystearate, Dimethicone, Dimethicone Crosspolymer, Candellila/Jojoba/Rice Bran Polyglyceryl-3 Esters, Glyceryl Stearate, Fragrance (Parfum), Microcristalline Cellulose, Cichorium Intybus (Chicory) Root Oligosaccharides, Hydrogenated Polyisobutene, Caprylyl Glycol, Xanthan Gum, Hibiscus Sabdarriffa Flower Extract, Sodium Polyacrylate, Sodium Stearoyl Lactate, Propanediol, Caprylhydroxamic Acid, Cellulose Gum, Gardenia Tahitensis Flower Methylsilanol, Mannuronate, Sodium Hyaluronate, Caesalpinia Spinosa Gum, Gluconolactone, Bobgunnia Madagascariensis Wood Extract, Propylene Glycol, Tocopherol, Silica, Sorbic Acid, Tetrasodium Glutamate Diacetate, Chlorphenesin, Sodium Benzoate, Sodium Salicylate, Citric Acid, Synthethic Fluorphlogopite, Titanium Dioxide (CI 77891), Tin Oxide (CI 77861), Red 33 (CI 17200), Sodium Hydroxide.